There’s no question that social media was a dominant business marketing tool in 2017. Facebook, Twitter, LinkedIn, Instagram and, to a lesser extent, Pinterest, became the most cost-effective way to engage customers, build brands and lengthen reach. Facebook’s recent algorithm changes are a sign of things to come, however. As social media platforms make changes, businesses have to keep up. LinkedIn and Twitter are both expected to make moves that will have a direct effect on how businesses use them. Here’s are the social media trends you need to know about in 2018. Organic reach, or free distribution of business posts, is quickly becoming a thing of the past. This is particularly true of Facebook where the new focus on making news feed posts more about personal stories and user exchanges leaves business posts out. Translation: Leaves company content out unless they pay, that is. Organic reach began dwindling long before the latest changes. Free reach engagement had already dipped to as low as 2 percent. Facebook is currently testing the removal of all business news feed posts and shifting them over to the new strictly business “Explore” feed. That’s likely where your business posts will end up sometime soon. The upshot is, in order to increase a business’s reach, it may cost money. There is good news, though. Facebook’s ad targeting tools are as advanced as they come. If you want to reach a specific age group who live in a particular geographical area and who have several things in common, you can do it with paid Facebook advertising. With Facebook, you’ll still be able to engage with and build your community. But to extend your reach, you’ll probably have to pay to “boost” your posts. LinkedIn, however, remains a solid platform for organic reach. This LinkedIn company page illustrates effective use of comprehensive company bio, business statistics and regularly updated posts. This year nearly 82 percent of all internet traffic will be video, predicts Cisco. Most businesses already utilize video in some fashion. Ad and informational videos attract a greater audience than simple banner ads. But in 2018, videos become necessary. The problem with video up to this point has been the disparity between getting a lot of views and shares, but not much to show for it afterward. Videos haven’t driven customers to respond to calls to action. So, what’s the plan for 2018? The plan is to forget about making videos with a “go viral” intent. Who cares if your video goes viral if nothing drives customers to your business? Instead, make videos that inform and push response. Explainer videos do just that. Used as a company introduction or visual representation of a service or product, explainer videos encourage engagement. And unlike video content of the past, explainer videos actually increase conversion rates. Virtual reality (VR) is another video concept gaining prominence. Facebook has, in fact, been working on a way for users to connect via VR for some time. The Facebook project, called Spaces, is expected to fully utilize the latest VR technologies. Spaces is projected to scale in 2018. With it, Facebook is poised to offer users the first practicable VR social media application of its kind. Tools to analyze business social media activities are becoming more precise. One of the trends to watch for in 2018 is the use of social listening tools. Listening tools track conversations that use specific keywords, phrases and brands relevant to a business. Listening tools report your audience’s talking points and engagement levels. As you learn what’s important to your audience, you gain the ability to create more effective marketing campaigns. As of September 2017, Instagram had 500 million active daily users. That’s an astounding increase over the 150 million it had in January 2017. Young people, ages 18 to 34 make up the largest share of users. But, what does Instagram have for business other than millions of young prospects? It has Instagram Stories. Instagram Stories and the ensuing engagement they bring make the platform a marketing powerhouse. And it’s still possible to find organic reach with Instagram Stories. 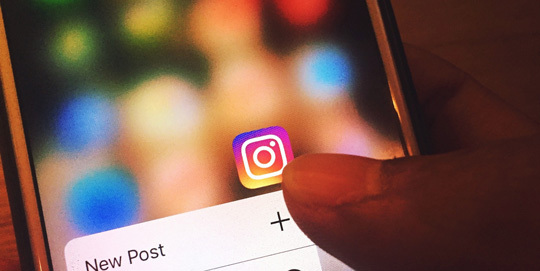 Last year, one in five brand Instagram Stories resulted in at least one direct consumer message. By the close of 2017, over 200 million used Instagram Stories each month. That number is only expected to rise. Now is the time for business execs and social media managers to learn how to effectively use Instagram Stories. If you wait, you’ll find yourself catching up. According to many insider experts, Twitter isn’t doing well. The breaking news platform user numbers are far behind LinkedIn, Facebook and Instagram. What does 2018 look like for Twitter? It’s likely Twitter will undergo some type of redesign both in look and operation. Twitter may be sold to private investors. Subscription and paid advertising options also look possible. Twitter’s future is uncertain but operational changes are sure to happen in 2018. In recent years, marketers focused on millennials. But a new generation is about to come of age. Generation Z, or those born from 1995 to 2012, is the next marketing focus group. The oldest in the group are moving out of college and into the workforce. Businesses that intend to capture this age group will have to focus on the social media platforms they use, Snapchat and Instagram. Snapchat doesn’t have nearly the numbers Instagram does, but Gen Z is fully engaged with it. So, even with the smaller numbers, Snapchat is worth the effort if your target audience is young. As with Instagram, Snapchat stories are big hits. Engagement for videos how-to, behind-the-scenes and real-life stories is high. Snapchat also gives advertisers augmented reality tools, such as face filters, to promote engagement. Currently, prices are too high to be of value, but that could change this year. Though 2018 looks to be a year of change, it’s also a great time to look back and determine what worked last year and what didn’t. Look at your successes, reflect and analyze. Make adjustments this year but stay focused on your customer engagement goals. Hone in on the trends that fit your business best. It’s going to be a great year.